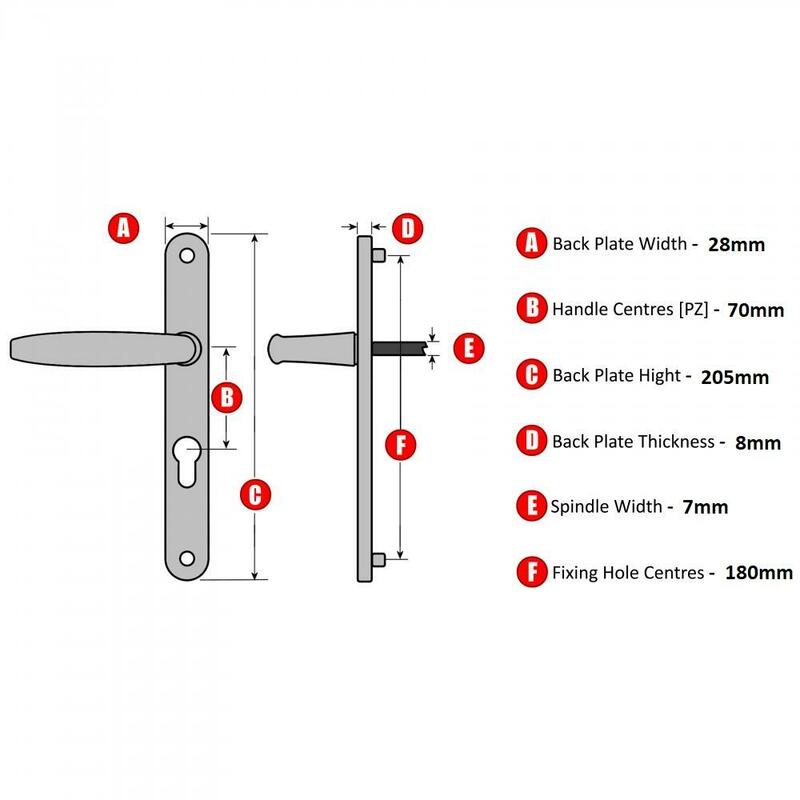 This Schlosser Technik 70mm PZ door handle is the new modern replacement for the old Ferco 70PZ door handles. It offers a new stylish design and a larger range of finishes. Unlike the older handle this version is also sprung, so you won't have to suffer the drooping or sagging door handles any longer. The handle comes with 2 spring cassettes to ensure it returns to the aesthetically pleasing 90 degrees position.